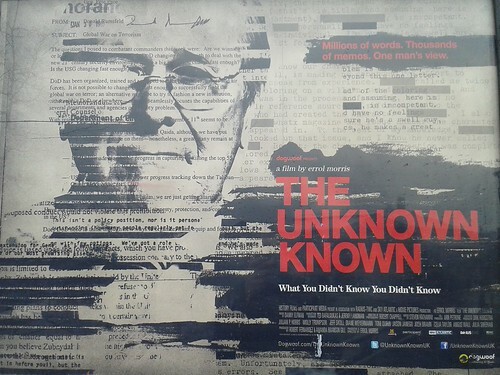 Some years ago, Donald Rumsfeld made his now infamous speech about known knowns and known unknowns. He of course got pilloried for it and was even given the Foot in Mouth Award for Bad English. And whilst I understand why he got such criticism, I would like to add one caveat: if he had been talking about CRM software implementations then he would have been lauded a genius! First, the Known Knowns. Absolutely. We definitely have this - the processes and data we do know we have and we know we have to address in the new system. Tick. Then, the Known Unknowns. Right again. These are the areas of our business which we know exist: the spreadsheets which we have heard something about, the small Access database which the trading team use - the data which has been in our database for 15 years and which, although we know it is there, we know nothing else about it! These are the things we know we have to tackle with a different approach when considering the new database. I genuinely think these are useful things to consider when implementing a new CRM or fundraising database. If you go into the project with this in mind then at least you can plan for even the Known Unknowns. And you might even be able to come up with some process for how you are going to tackle the Unknown Unknowns when they pop up; e.g. in terms of business analysis, documentation, impact assessment, forewarning users that if this happens then this is how you will approach it. I'm not saying you should stand up at the kick-off meeting and quote Mr Rumsfeld word for word - but do let him sit quietly on your shoulder so you can call on him when needed.